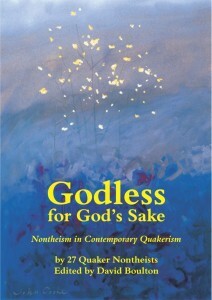 In this book edited by British Friend and author David Boulton, 27 Quakers from 4 countries and 13 yearly meetings tell how they combine active and committed membership in the Religious Society of Friends with rejection of traditional belief in the existence of a transcendent, personal and supernatural God. For some, God is no more (but no less) than a symbol of the wholly human values of “mercy, pity, peace and love”. For others, the very idea of God has become an archaism. 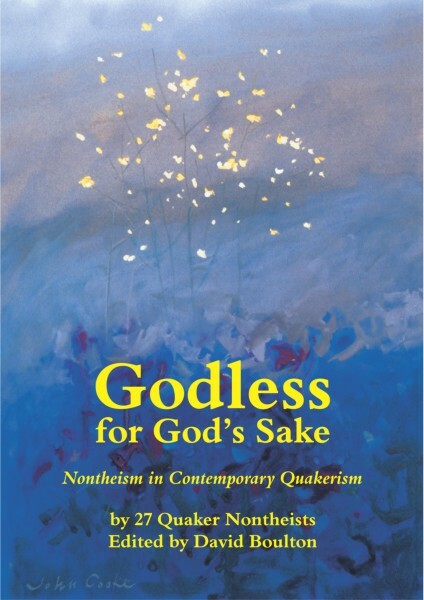 Readers who seek a faith free of supernaturalism, whether they are Friends, members of other religious traditions or drop-outs from old-time religion, will find good company among those whose search for an authentic 21st century understanding of religion and spirituality has led them to declare themselves “Godless – for God’s Sake”. 2. What’s a Nice Nontheist Like You Doing Here? Links to forms for ordering online will be provided here as soon as they are available. In the meantime, contact the organizations listed below, using the book details at the bottom of this page. Those outside the United Kingdom and United States should be able to order through a local bookshop, quoting the publishing details below – particularly the ISBN number. In case of difficulty, the book can be ordered direct from the publisher’s address below. Publisher: Dales Historical Monographs, Hobsons Farm, Dent, Cumbria LA10 5RF, UK. Tel 015396 25321. Email davidboulton1@compuserve.com. Retail price: ?9.50 ($18.50). Prices elsewhere to be calculated on UK price plus postage. I’m reading through the book. Loving it so far. I’m curious – is there a more active place online where non-theist Quakers are having discussions? Facebook, etc..? I’ve got some angst re: yearly meeting that I’d like to discuss, but feel it’s best not to discuss within the FB page of my local meeting.